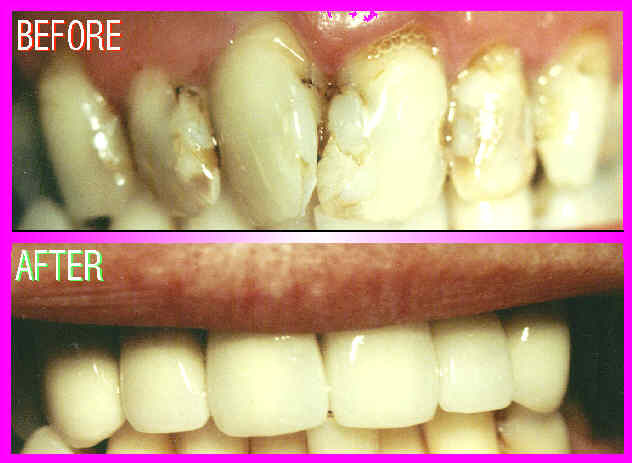 Prosthetic correction of open spaces between teeth ( if cosmetic bonding is inadequate ). This depends on the size of the open space to be closed. Some of the indications listed involving alterations in color or shape or to close a small space can be performed by porcelain laminate veneers or by resin bonding veneers if conditions indicate them. Porcelain to metal crowns may not be the optimal restoration if the person bites their fingernails or bites pencils, chicken bones etc... or grinds the teeth heavily. In this respect, cautions to prevent crown or underlying tooth breakage are similar to the cautions for the porcelain laminate veneers. 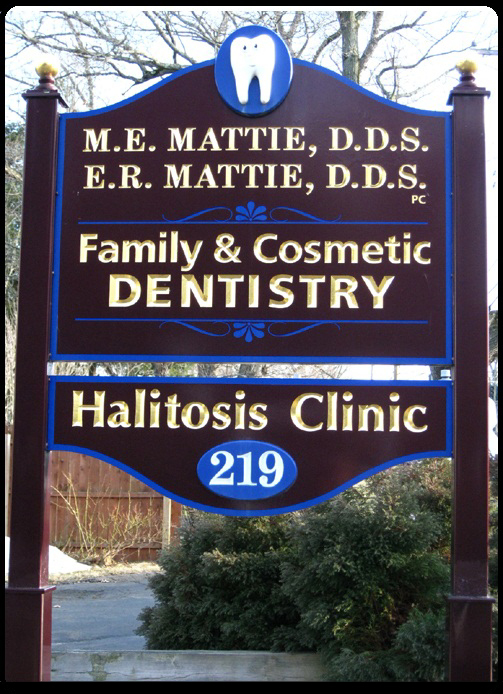 Dr Mattie will assess your need for crowns should the need present for them with an exam and evaluation. In some cases, all metal crowns are used.